K-pop boy band Monsta X will be visiting the Philippines for their first fan meeting. The seven-member idol group will be holding their “Monsta X: The First Asia Fan Meeting in Manila 2016” on Nov. 27 at The Skydome at SM City North EDSA, according to an announcement by their agency Starship Entertainment and Happee Sy-Go of Pulp Live World. “MONSTA X is finally landing on Philippines, taking you to another world with out-of-the-world performance,” posted Starship on Facebook. This will be the first time the boys will be visiting Manila since debuting in the K-pop scene in May last year. 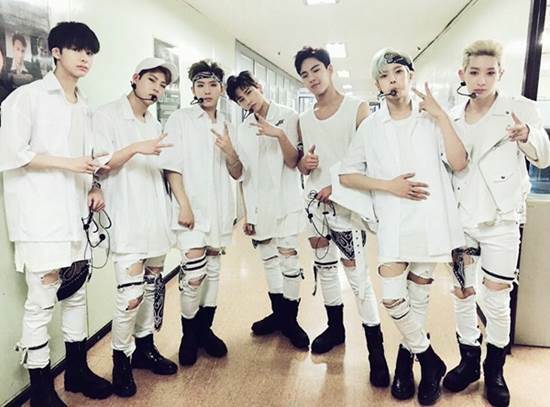 The group is composed of Shownu, Minhyuk, Jooheon, I.M, Wonho, Kihyun and Hyungwon. MONSTA X released their debut album “Trespass” in May 2015. This was followed by a six-track mini-album titled “Rush” in September last year. Monsta X released their third album “The Clan Pt. 1 Lost” last May, which featured the track “All In.” The album peaked at No. 3 on the Gaon music chart and No. 5 on Billboard’s World Albums chart. The boys have won several awards including the Next Generation Asian Artist at the 2015 Mnet Asian Music Awards and Next Generation Artist at the Golden Disk Awards. They also won the Male Dance Performance Award at the 2016 Seoul Music Awards. They are currently in Los Angeles, California, to perform at the KCON 2016.